3 Bedroom Semi Detached Cottage For Sale in Ventnor for Offers in excess of £350,000. Offered to the market chain free Peacock Cottage provides a rare opportunity to own an iconic, unique house in a superb location. 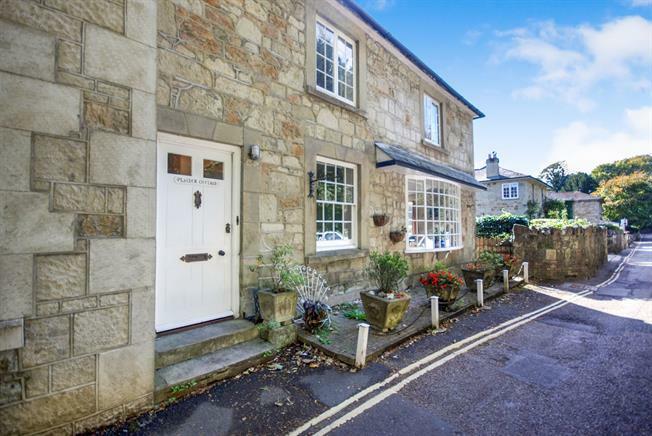 Steeped in history and with many of its original features this beautiful stone cottage will steal your heart, through its immaculate Victorian floorboards, original flagstones and sunny courtyard garden. Downstairs the accommodation comprises 3 large reception rooms - a drawing room, bay fronted living room & a dining room as well as a good sized kitchen. Upstairs is a family bathroom and 3 double bedrooms, with an en-suite to the master. With amazing views and tonnes of potential, Peacock Cottage is a must view!